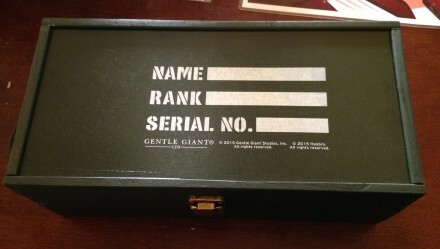 Gentle Giant had an impressive list of exclusives at this year’s SDCC, including this 12″ G.I. Joe ‘Grunt’ figure. Essentially an upscaled model of the original ‘Grunt’ 3.75″ figure, this particular figure came in a sturdy wooden lock box. 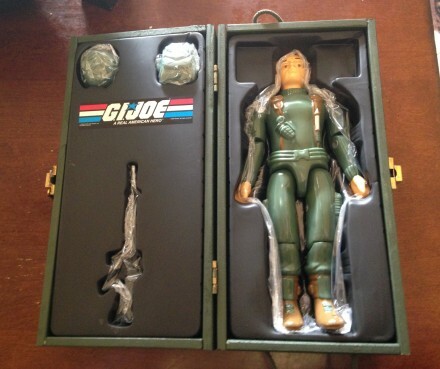 Inside, the figure is stored in a cushioned cutout, with his backpack, helmet, and service rifle on the opposite side. 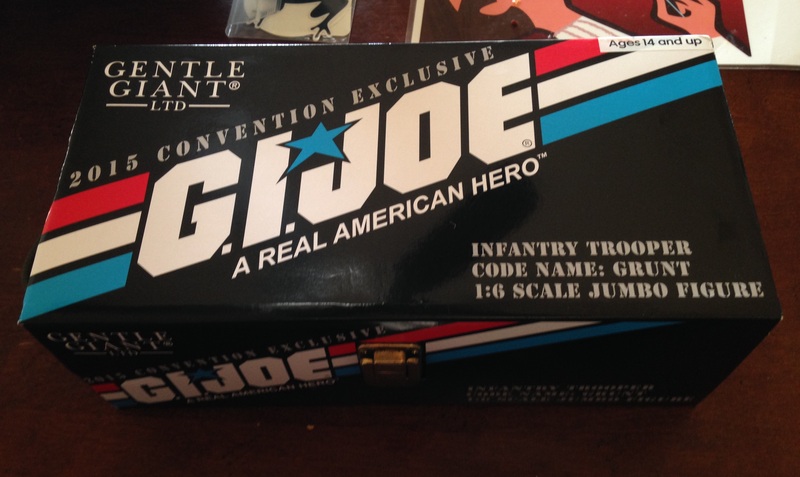 An awesome addition to any G.I. 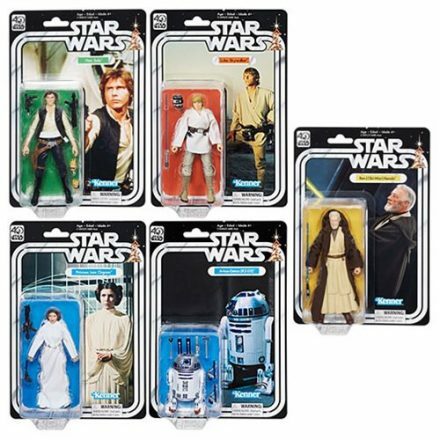 Joe fan’s collection.